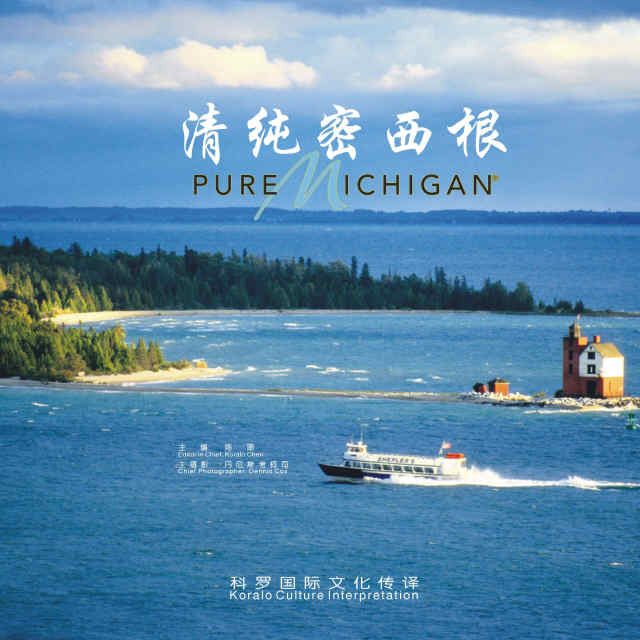 Pure Michigan's digital marketing efforts continue to push the travel agency to the forefront of marketing success. Pure Michigan Facebook fans doubled in count since January 2010 -- as of May 31, the number of Facebook fans has risen to 50,000, continuing to make the Great Lakes State one of the nation's tourism leaders on the social media outlet. Additionally, Pure Michigan now has more than 5,000 followers at @PureMichigan on Twitter. On both Facebook and Twitter, fans find up-to-date information on travel across both peninsulas, share their Michigan favorites, experiences, and recommendations, and view Pure Michigan tourism campaign ads. "We could not be more pleased with the increase of Facebook fans and Twitter followers for Pure Michigan," said George Zimmermann, Vice President of Travel Michigan, a business unit of the Michigan Economic Development Corporation. "As summer travel takes wing, our fans are sharing their favorite vacation spots and experiences, which we believe helps influence interest and travel decision making in Michigan's favor." Zimmermann also noted that through May 2010 visits to michigan.org, the official Michigan tourism Web site, increased by 26 percent over the same time period last year, and click-thrus to Michigan business tourism web sites increased 15 percent over the first five months of May 2009. Based on recent a customer satisfaction survey conducted by ForeSee Results, nearly three quarters of the Pure Michigan Facebook fans learned about places and activities in Michigan they did not know about. In addition, a third of those fans were inspired to travel to or within Michigan after reading the posts. Travel Michigan is partnering with Fluency Media for on-going strategy and execution for the Pure Michigan online marketing and social media program. Ann Arbor-based Fluency Media develops integrated marketing solutions which include social media strategy and execution, email marketing, online publishing, search engine optimization, pay-per-click advertising, and Web site sales flow optimization programs. The inside scoop on where the fish are biting, what greens are running fast and how you can make your visit Pure Michigan are at the blog Pure Michigan Connect. Take a minute to comment on the blog posts, or submit your own Pure Michigan story as a guest blogger. In addition, visitors can now enjoy all the photos from the Pure Michigan Photo Contest on Flickr, or watch all of the Pure Michigan commercials on YouTube or michigan.org. The official state travel and tourism Web site, michigan.org, continues to be a source for Michigan travel information, featuring more than 12,000 attractions, events, hotels, resorts, restaurants and other tourism-related businesses. Travel Michigan, a division of the Michigan Economic Development Corp., is the state of Michigan's official agency for the promotion of tourism. Travel Michigan markets the state's tourism industry and provides valuable visitor information services. For Michigan travel information and updates go to www.michigan.org.